Another key part of NIMD’s network are the seven Dutch political parties who are the founding members of NIMD. These give NIMD access to unique expertise, high-level networks and policy advice. Each of NIMD’s tailor-made democracy assistance programmes is implemented through a partnership with an organization working on the ground. This ensures that country programmes fully benefit from the implementing partners’ detailed understanding of party-political conditions on the ground. Our preference is to team up with an existing, locally anchored organization that must at the same time be both politically impartial and have a proven track record of financially responsible project delivery. In countries where such organizations are absent, NIMD helps establish dedicated Centres for Multiparty Democracy (CMD) or sets up country offices with local staff to act as the effective programme implementing partner. CMDs are governed by the country’s political parties while countries offices are managed by a local coordinator working directly for NIMD. NIMD actively supports mutual exchange and cooperation with organizations working in the field of democracy assistance. The main goal of our strategic partnerships is to collaborate sustainably on a multi-project basis, through joint programme planning and joint fundraising efforts. Strategic partnerships allow funding to be secured from a wider spectrum of sources, giving added strategic flexibility and responsiveness to changing country conditions and global trends. Involving other specialist organizations gives a broader perspective on the future context of country programmes and ensures results and experiences are shared. At the same time, strategic partnerships allow NIMD to remain focused on its core specialism of political parties, by bringing in the complementary expertise of other organizations. We work closely with other European democracy assistance organizations as part of a wider community that seeks to advance and strengthen democracy outside the EU. NIMD also enters into strategic partnerships aimed at marrying specific specialist areas such as democracy education, where results can be maximized through close cooperation with other expert organizations. The International Institute for Democracy and Electoral Assistance is an intergovernmental organisation that aims to provide knowledge to democracy builders; provide policy development and analysis; and support democratic reform. 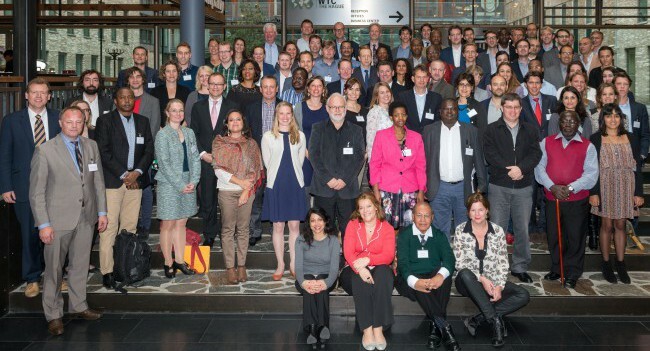 The Danish Institute for Parties and Democracy (DIPD) aims to strengthen and complement the Danish democracy assistance, particularly through support of political parties and multiparty systems in developing countries. Political Parties of Finland for Democracy, Demo Finland, functions as a co-operative organisation for Finnish parliamentary parties. It seeks to enhance democracy by carrying out and facilitating collaborative projects between Finnish political parties and political movements in developing countries. NIMD is a proud member of the European Partnership for Democracy (EPD). EPD is an organisation supporting democratic transformations outside the European Union. As a network of European civil and political society organisations, EPD advocates for a stronger presence of democracy support on the European Union’s agenda and facilitates the exchange of knowledge and good practices in democratic transformations around the world. The GPMD is a unique ‘North-South’ network that brings together 18 practitioner organizations from all over the world that support political parties in developing democracies.